Cellulite is underlying fat deposits that begin to push through layers of collagen and fibers, giving it a dimpled, lumpy appearance. It is most noticeable on the buttocks, thigh stomach and usually starts after puberty. Why Do I Get Cellulite? 85 -98 % of women will suffer from cellulite and will suffer no harmful side effects though that does not mean we have to suffer through it. At any age cellulite can deplete your confidence and make you unsure of yourself. Cellulite is more likely to be caused by hormonal changes and little to do with weight gain. Women spend 100s a year on products that don’t work or on pricey treatments. Most store bought products focus on the up most layer of skin rather that the underlying fat deposits that actually cause the Cellulite. Radio Frequency treatments have been shown to be the most effective machine treatment for cellulite as they target the fat deposits beneath the skin. How Can I Fix Cellulite At Home? Zo Skin Health have just launched their first Cellulite treatment! Oraser Cellulite Control is a twice daily at home cream that works to address the underlying reasons for cellulite by breaking down the fat deposits, reducing fat storage and boosting your cells! 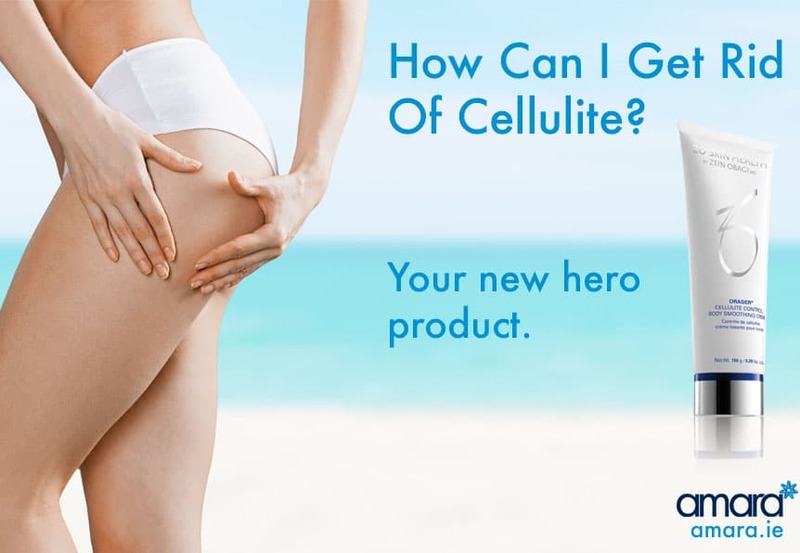 Cellulite Control by ZO Skin Health has been clinically proven by independent studies to reduce the visibility of cellulite and prevent future signs of cellulite! Used morning and night Cellulite Control continues to work after it has been absorbed by the skin for 24 hours. How Does It Remove My Cellulite? This Improves microcirculation and skin contour, while stopping the degradation of elastin fibers and collagen. These ingredients work together to hydrate your skin, boost collagen, breakdown fat deposits and most importantly prevent them from coming back. In an independent clinical study 81% said skin their skin is smoother 77% saw a reduction in their cellulite, skin relief irregularity and a thinning effect on their thighs. After 8 weeks of continuous use cellulite will reduce! Add a body brush to your nightly routine and this will help circulation as well as exfoliating dead skin. Interested in tackling your cellulite? Call us to order or book in for your full Skin Health analysis!